This week, our dial will oscillate between the first Viking incursion on Irish soil in 795 and the Norman invasion in 1169. Incredibly, nothing was learned from the Viking invasion because if it was, surely the Norman invasion would never have happened. 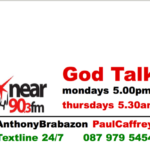 My guests this week are Gerard Cunningham and Derek O’Brien. A native of West Donegal, Gerard Cunningham is a freelance journalist who writes for local and national outlets on topics as varied as crime and courts, politics, new technology, and local history. Gerard is the author of two books, ‘Chaos and Conspiracy‘, published in April 2009, and ‘Breaking the Silence‘ (along with Martin Ridge). For five years he covered the Morris tribunal, providing stories to both national and local newspapers, and to broadcast media. He is the only journalist to have attended every day of evidence at the inquiry into Garda corruption. He is currently covering the Carleton tribunal. He also covered related stories, including the Frank Shortt and McBrearty family civil cases, and the criminal trial of Det Sgt John White. Derek O’Brien is a tour guide at the Irish National Heritage Park in Wexford, also the location of the very first Anglo-Norman earthwork. He is keen to let us know that there will be ongoing excavation at the earthwork over the next number of years. Derek has a BA in history and archaeology and an MPhil in archeology. His thesis dealt with the importation of limestone by the Anglo-Normans to Ireland c.1170-1400 (Irish limestone wasn’t good enough). You can tell us more about this later in the show, Derek.